Heavenly LED 25 watt Meat Tube has a unique pink spectrum which makes them ideal for food enhancing purposes, it is environmentally friendly (does not contain harmful substances) and has a high quality aluminium body with excellent heat dissipation.This pink led tube is designed to replace Natura colour 76 meat tubes. The pink LED tube is used more and more widely in supermarket, butcher, fresh food, The special led tube with pink color could make meat, vegetable, cake, fruit and other food look fresh and attractive and appetizing. So some people call it the meat pink tubes, the butcher pink tubes, the bread pink tube. Our pink meat tubes available in T5, T8 and T10. Power and lenght are OK, whatever you want. Please tell us. Frosty cover or clear cover is available. 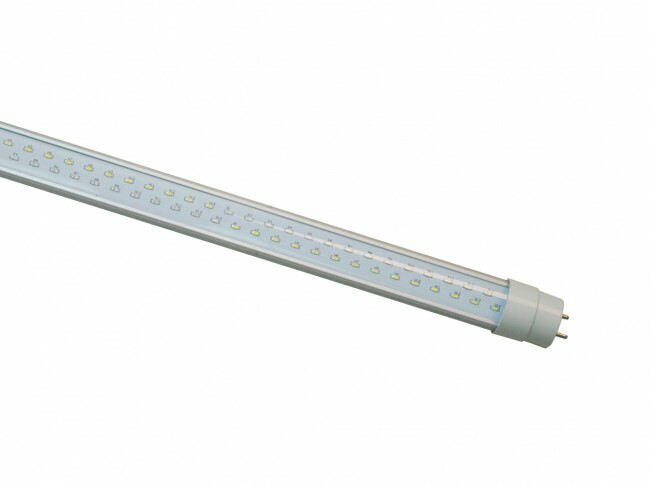 Heavenly LED 25 watt Meat Tube has a unique pink spectrum which makes them ideal for food enhancing purposes, it is environmentally friendly (does not contain harmful substances) and has a high quality aluminium body with excellent heat dissipation. 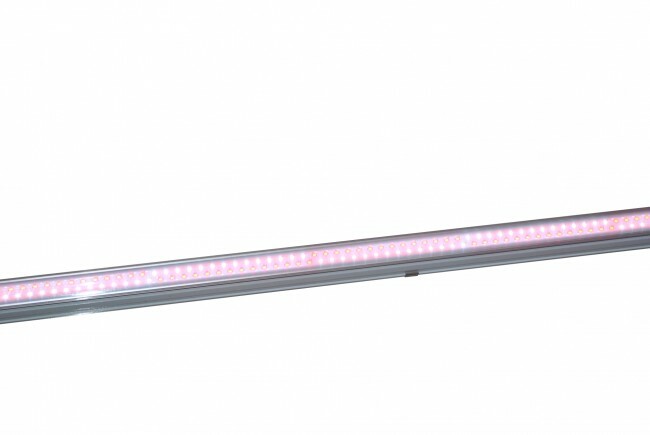 This pink led tube is designed to replace Natura colour 76 meat tubes. 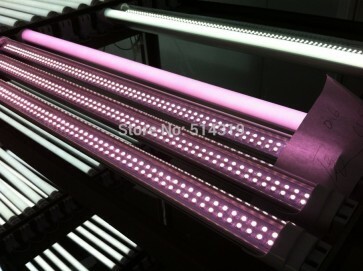 The pink LED tube is used more and more widely in supermarket, butcher, fresh food, The special led tube with pink color could make meat, vegetable, cake, fruit and other food look fresh and attractive and appetizing. So some people call it the meat pink tubes, the butcher pink tubes, the bread pink tube. 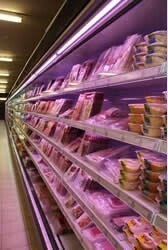 Our pink meat tubes available in T5, T8 and T10. Power and lenght are OK, whatever you want. Please tell us. Frosty cover or clear cover is available.